TNPG 2016, the Tamil Nadu Post Graduate entrance exam is conducted by the Directorate of Medical Education, Chennai. Admission is done through TNPG 2016 for PG Degree / Diploma / 6 Year M.Ch, (Neurosurgery), MDS courses. Get here complete details of TNPG 2016 such as application form submission, examination pattern, declaration of results etc. Latest Update:- Filling up of vacancies left due to various reasons has been started. Scroll down to Check the details. 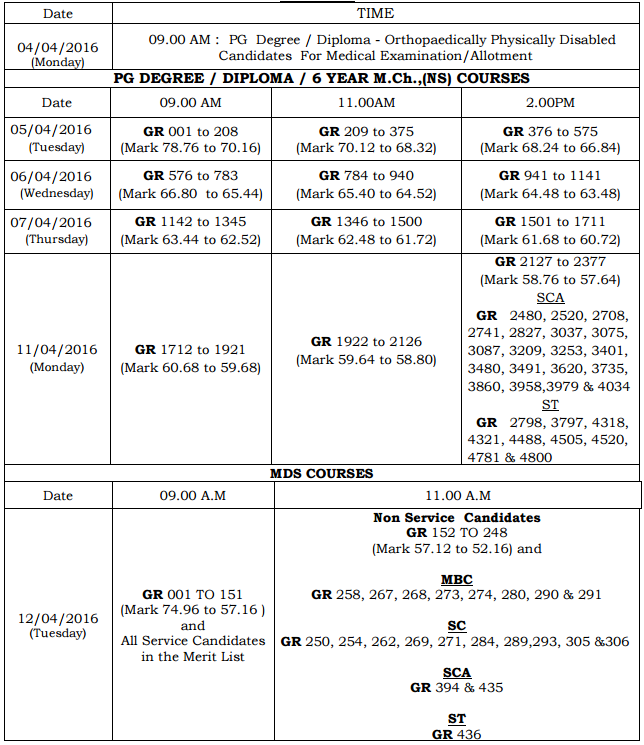 Schedule for the Tamil Nadu PG Entrance Exam (TNPG) 2016 is given below. 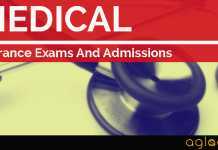 Candidates can download the application form for Tamil Nadu PG Entrance Exam 2016 from the official website www.tnhealth.org. Interested and eligible candidates may filled their application on or before the last date of application as per the schedule mentioned above. Candidates are advised to must ensure their eligibility and other criteria before applying. Candidates seeking admission to above courses should submit the application form with necessary enclosures which should reach. The Secretary, Selection Committee, 162, E.V.R. Periyar Salai, Kilpauk, Chennai – 600010. on or before the last date. The candidates shall ensure that the completed application form with all particulars and enclosures reaches the Selection Committee within the date and time specified. Applications received by Speed post / courier or any other means, after the last date & time will not be accepted. The Selection Committee shall not be responsible for any delay in the receipt or for the loss in transit of application form. Non-Service Candidates should send their applications directly to the Secretary, Selection Committee at the above address. Service Candidates including 10 a (i) / Contract Medical Consultants should get their applications forwarded only through the proper channel with the remarks of the forwarding authorities in the format prescribed in the application form. If not, the applications will be summarily rejected. Advance copies from service candidates will not be accepted. Photocopy / Fax copy of the application will not be accepted. Both upper limbs, vision and hearing should be normal for all candidates including for candidates applying under orthopaedically physically disabled category. Candidates should be Citizen of India and should have undergone BDS courses in the State of Tamil Nadu. (Candidates who complete CRRI in other State are not eligible). Candidates of Tamil Nadu Nativity who have completed BDS in other states should furnish a Certificate of Nativity in Tamil Nadu issued by the competent authority only and supported by a copy of Passport / Ration Card / Voter’s ID / Driving License / Permanent Dental Registration Certificate. If the copy of the supporting document is not produced, then the application form will be rejected. Nativity Certificate submitted later will be summarily rejected. Candidates who have passed their BDS Examinations and completed / completing the CRRI period on or before 31-03-2016 are eligible to write the Entrance Examination. However the candidates should possess the permanent Dental Council Registration Certificates of the States or of India at the time of counselling for allotment of seats. The candidates who are undergoing CRRI should submit a self declaration that their CRRI will be completed on or before 31-03-2016. Candidates should possess B.D.S. Degree of Tamil Nadu Dr. MGR Medical University or of any other University recognized as equivalent to Tamil Nadu Dr. M.G.R. Medical University and recognized by the Dental Council of India. Candidates who have qualified from other Universities should produce Eligibility Certificate from Tamil Nadu Dr. M.G.R. Medical University, Guindy, Chennai 600 032 at the time of counselling failing which they will not be considered for selection. Candidates who join a MDS course in any branch and discontinue the course on any grounds after the cutoff date fixed by the Dental Council of India and the candidates who take an allotment for MDS course in any branch in the final phase of counselling and not join the course on or before the cutoff date are not eligible to apply for 2 years from the date of appearance for the Entrance Examination. Candidates who are undergoing a MDS course are not eligible to apply for MDS Course. Candidates who have completed a Post graduate Degree /Equivalent or candidates who possess a Post- Graduate Degree / Equivalent are not eligible to apply for admission. Candidates should be Citizen of India and should have undergone MBBS course including the entire CRRI period in the State of Tamil Nadu. (Candidates who complete CRRI in other States are not eligible). Candidates of Tamil Nadu Nativity who have completed MBBS in other States should furnish a Certificate of Nativity in Tamil Nadu issued by the competent authority only and supported by a copy of Passport / Ration Card / Voter’s ID / Driving License / Permanent Medical Registration Certificate. If the copy of the supporting document is not produced, then the application form will be rejected. Nativity Certificate submitted later will be summarily rejected. Candidates who have passed their MBBS Examination and completed / completing the CRRI period on or before 31-03-2016 are eligible to write the Entrance Examination. However the candidates should possess the permanent Medical Council Registration Certificates of the States or of India at the time of counselling for allotment of seats. The candidates who are undergoing CRRI should submit a self declaration that their CRRI will be completed on or before 31-03-2016. Applications will be summarily rejected, if the candidate has not furnished the above said self declaration form. Candidates should possess M.B.B.S. Degree of Tamil Nadu Dr. MGR Medical University or of any other University recognized as equivalent to Tamil Nadu Dr. M.G.R. 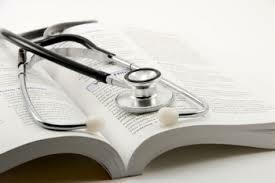 Medical University and recognized by the Medical Council of India. Candidates who have qualified from other Universities should produce Eligibility Certificate from Tamil Nadu Dr. M.G.R. Medical University, Guindy, Chennai 600032 at the time of counselling failing which they will not be considered for selection. The candidates who take an allotment for PG Degree/Diploma/6 Year M.Ch (Neurosurgery) courses in any branch in the final phase counselling and not join the course on or before the cutoff date are not eligible to apply for 2 years from the date of appearance for the Entrance Examination. Candidates who are undergoing a Postgraduate Degree / PG Diploma / 6 year MCh Neurosurgery courses are not eligible to apply for any Post Graduate Degree / Diploma course / 6 year M.Ch. (Neurosurgery) Courses. 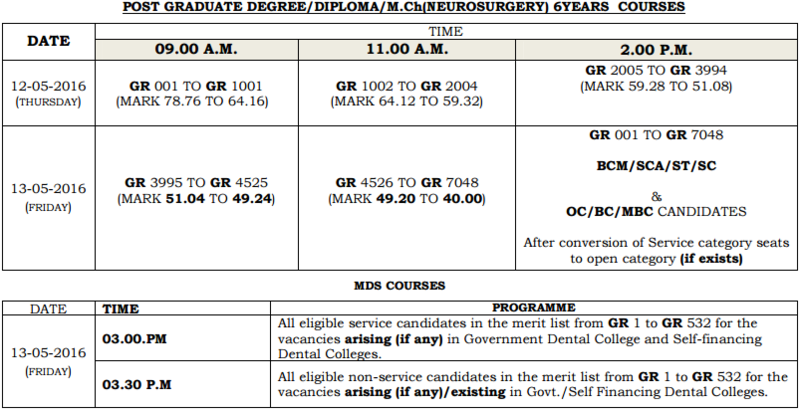 Candidates who are completing a Diploma course (including All India Quota) are not eligible in the same academic year to apply for any Post Graduate Degree/ 6 year M.Ch Neurosurgery courses. Candidates who have completed a Post graduate Degree /Equivalent or candidates who possess a Post- Graduate Degree / Equivalent are not eligible to apply for admission to any other Post Graduate Degree / Diploma Course. A candidate who is a diploma holder is not eligible to apply for another diploma course but can apply for any Post Graduate Degree Course. Out of the seats sanctioned for M.D.S. Course and Post Graduate Diploma / Degree Courses, 50% of the total recognised / permitted seats are offered to All India Quota for allotment by the Director General of Health Services, New Delhi. The remaining 50 % of the seats will be allotted under State Quota during the I phase of counselling. For the newly sanctioned seats in Government Colleges after the first Phase of counselling, reallotment of courses / colleges will be permitted as per merit and communal reservation from rank one. Joined and Waitlisted candidates only can attend the counselling for the allotment of the above seats. During the second / third phase of Counselling all joined and waitlisted candidates can attend the Counselling for the available vacancies arising due to State Quota discontinued and not joined candidates allotted during the first phase / second phase of counselling and All India Quota surrendered seats after the third Phase of Counselling by the DGHS as per merit and communal reservations. Allotment will be made only for the seats affiliated to the Tamil Nadu Dr. MGR Medical University for the Academic Year 2016-2017 session. 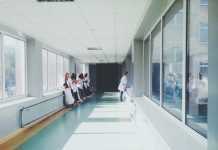 Seats approved by the Tamil Nadu Dr. MGR Medical University for M.D.S. course and for P.G. Diploma / Degree / 6 Year M.Ch. (Neuro-Surgery) courses for 2016–2017 session will be displayed at the time of Counselling. Some seats may be approved but not recognized by DCI and MCI. Therefore the candidate should well examine these points before opting for a seat. The selection committee shall neither be responsible nor shall entertain any case on above grounds. The Selection will be made by counselling based on Merit and by applying the Rule of Reservation / Roster method followed by the Government of Tamil Nadu wherever applicable. 50% of seats in each speciality and in each college are reserved for service candidates, in addition to those service candidates selected in the open category. In case an odd number seat remains in any speciality in the total seats sanctioned for that speciality, that seat shall be filled by merit and communal reservation. Counselling for Left seats – Available! Venue: Tamilnadu Govt. Multi Super Speciality Hospital, Omandurar Govt. Estate, Chennai -600 002. All the candidates attending the counselling other than those who were allotted under State Quota, should produce their original certificates at the time of counselling, since it is the final Phase of counselling. Candidates with a Demand Draft for Rs.500/-as processing fee will only be permitted to attend the counselling for Allotment/Re-allotment. Candidates who were wait listed & those attending the counselling for the first time should bring the original certificates and a Demand Draft for Rs. 30,000/- or Rs.20,000/- for Degree or Diploma Courses as tuition fee as the case may be.Since it is the Final Phase of Counselling, only those with the above Demand Drafts Will be allowed to attend the counselling and allotted seats. The Demand Drafts should be drawn in favour of “Secretary, Selection Committee, Kilpauk, Chennai”. Candidate who have taken allotment during the 1st phase of counselling and wish to retain the seat need not attend the counselling. Seat matrix will be displayed in the website on the afternoon of 26 May 2016. Candidates are advised to see the vacancy position in the websites prior to attending the counselling. Candidates already selected under State Quota /All India Quota cannot surrender the seats selected on the counselling table. Seat matrix will be displayed in the website on the afternoon of 11.05.2016. Candidates who have taken allotment during the 1st phase of counselling and on roll only will be permitted to attend the counselling. Candidates who are wait listed during the 1st Phase of counselling can attend the counselling. Candidates who have taken allotment during the 1st phase of counselling but not joined/discontinued the course will not be permitted. Candidates who have taken the seat under the special category can not attend the counselling. Candidates without original certificates will not be permitted. Venue:- Tamilnadu Govt. Multi Super Speciality Hospital, Omandurar Govt. Estate, Chennai -600 002. Candidates without Demand Draft (Rs. 500/- , Rs. 20000/- or Rs. 30000/-) will not be allowed to attend the counselling. Candidates who do not receive the call letter can download the call letter from the official website www.tnhealth.org and attend the counselling. Candidates who have joined under All India Quota can attend the 1st phase of counselling by producing a bonafide certificate obtained from the Head of the Institution where they have joined. However no candidate will be allowed for the final phase of counselling without original certificates. The selection / admission shall be liable for cancellation based on the declaration at any time during or after the admission to the course. Further he / she will not be allowed to apply for the Post Graduate Courses for Two Years. Candidates can check the information brochure for the MDS and P.G.Degree /Diploma /6 Year M.Ch (Neuro Surgery) Courses for the academic year 2016-17 from below. If you have any queries regarding TNPG, please ask in comments below.